Lenders are reportedly awaiting EoIs from Air Canada & Delta Airlines, which are likely to submit their initial bids in the next two days. Canadian airline Air Canada, UAE's Etihad, Malaysian carrier Air Asia, private equity firms TPG Capital and Indigo Partners and NIIF are the five potential suitors for debt-laden Jet Airways even as lenders to the airline extended the bidding deadline by two days to Friday, according to media reports. 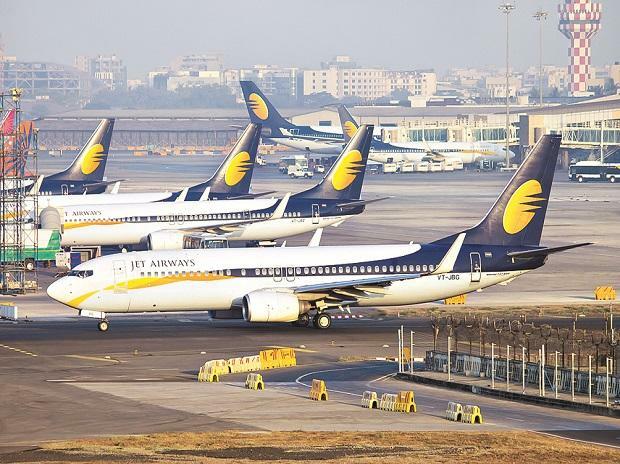 Reports said that PE players TPG Capital and Indigo Partners, National Investment and Infrastructure Fund Ltd (NIIF) and current Jet Airways shareholder Abu Dhabi-based Etihad Airways have submitted their expressions of interest (EoIs) while lenders are awaiting EoIs from Air Canada & Delta Airlines, which are likely to submit their bids in the next two days. "The earlier deadline was set for April 10 but some of the international airlines that are interested asked for more time. There are more than two investors who are interested in putting in a bid. Since Air Canada is an overseas airline and there is a time difference with India, the airline needs time for due diligence,” a top source was quoted as saying by Financial Express. The Tata Group, which was earlier speculated to be a strong contender, doesn’t appear to be interested in participating in the bidding process as it is already invested in building two brands — Vistara and AirAsia India. Rather than buying another airline, it would make sense for Vistara to pick up routes abandoned by Jet Airways. SBI Capital Markets, which issued Expression of Interest (EoI) document on April 8, has extended the deadline for submission of initial bids to April 12. Potential bidders can send their queries till April 11. As per a clarification document issued by investment banking major SBI Capital Markets (SBI Cap), prospective buyers can acquire the company or effect change in its management control. The prospective buyers would also be required to furnish solvency certificates. In a late evening statement on Wednesday, SBI Capital Markets said: "As part of the process, we are in receipt of some EOIs and some more persons have expressed desire to participate, if additional time is provided." "Accordingly, in order to allow better participation in the process, the domestic lenders have agreed for extension of the timeline for submission of Expression of Interest which have been updated and made available on the websites." Speculation is rife that the lenders might give more time to the airline's ex-Chairman Naresh Goyal or major equity owner Etihad Airways to participate. The delay in sale comes amid worsening financial condition of the airline leading to a cut in aviation turbine fuel supplies for a third time in the last few days. Supplies were resumed later Wednesday evening. Adding to the trouble, a Boeing 777 aircraft was seized in Amsterdam over non-payment of cargo dues. Jet, however, claimed its Amsterdam-Mumbai flight was delayed due to “operational reasons”. Painting a grim scenario, sources indicated that Jet’s dwindling fleet may be reduced further to around 14 on Thursday from 18 now. The development comes a day after debt-ridden airline was served a legal notice from a section of its pilots demanding payment of salaries, due from January 1, by April 14. Subsequently, the airline's CEO Vinay Dube said the company continues to work with lenders on the balance sheet restructuring plan and will inform the employees about the progress of the process by early next week.